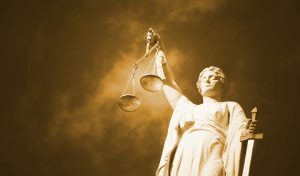 Scales of Justice courtesy of Ajel on Pixabay.com. Monday - Thursday: 8:30 a.m. to 2:30 p.m.
Sherman County Justice Court is the judicial branch of county government, and processes citations issued by law enforcement agencies for traffic violations, boating violations, fish and game violations and other civil violations. The Court also handles small claims and eviction actions, and the Justice of the Peace performs weddings as the schedule permits. A written appearance may be in the form of a letter that is either typed or handwritten, but must be legible. Letters may be addressed to the Honorable Ron McDermid. Any requests for mitigation must be received prior to your scheduled court date. Pay here only if you are entering a plea of No Contest as described under Option 1 on your summons or if your case has been previously adjudicated. Do NOT pay here if you are entering a plea of Not Guilty. No requests for mitigation or diversion are accepted following online or phone payments. Fees to the Justice Court can be paid in the Courthouse, or online by clicking the Point and Pay icon below. A 4% convenience fee will be charged, or a $2.00 minimum for payments of $50.00 or less for online or phone payments. Please contact Justice Court at 541-565-3572 if you have any questions.